WCCA TV NEWS : It’s ALL Happening here ! 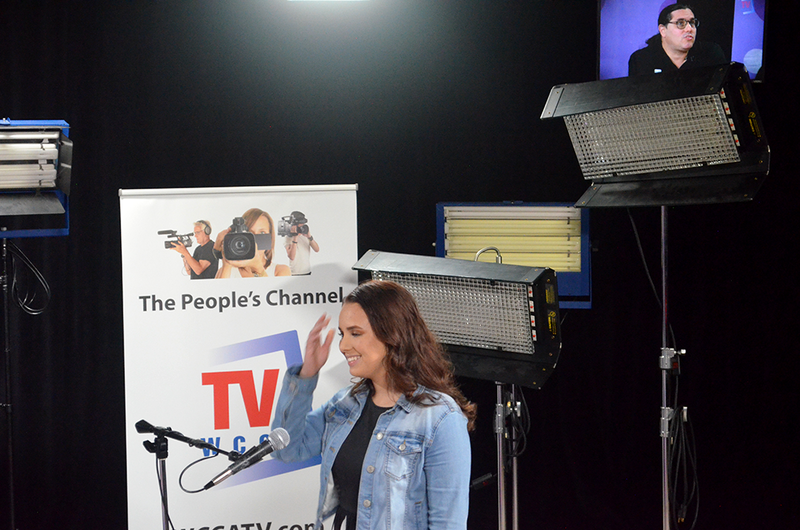 Whether it’s to satisfy your own desires to be popular, or to place yourself in service to others, or to share your special talent, WCCA TV is the media space for that. Here’s whats happening here and it encompasses LOCAL Arts and Culture, History and Education, Politics, Religion, Social matters, Ethnic Pride, Non-profit – Neighborhood – Community News, Music, the heart and fiber of Worcester. Shouldn’t you be a part of it too? We ran a tally from the current roster of WCCA TV community television local-originated shows and are pleased to announce that WCCA TV has presented over 9,210 individual Worcester centric community television shows!! This amazing accomplishment reflects the high level of commitment from our WCCA TV member producers and creators as they give so much of their time, skill, and passion toward building community through electronic media.This number does not include all our current community productions – it represents those who have produced over 100 shows and who are currently in production. There are many more single episodes, specials, and other community productions that are not included in this number. Every day of the week you will find WCCA TV community volunteers on the job, creating, learning, connecting and supporting community development in meaningful ways. 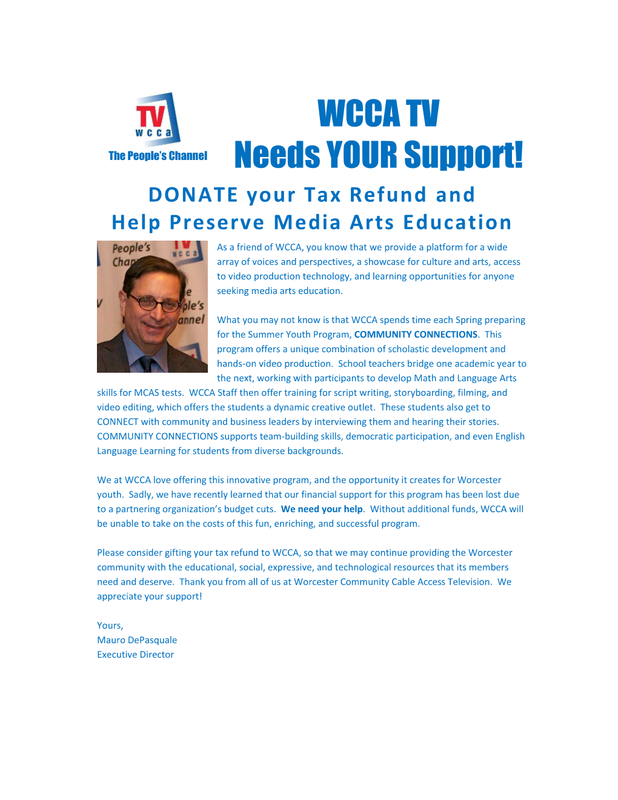 WCCA TV is a true community creative space. 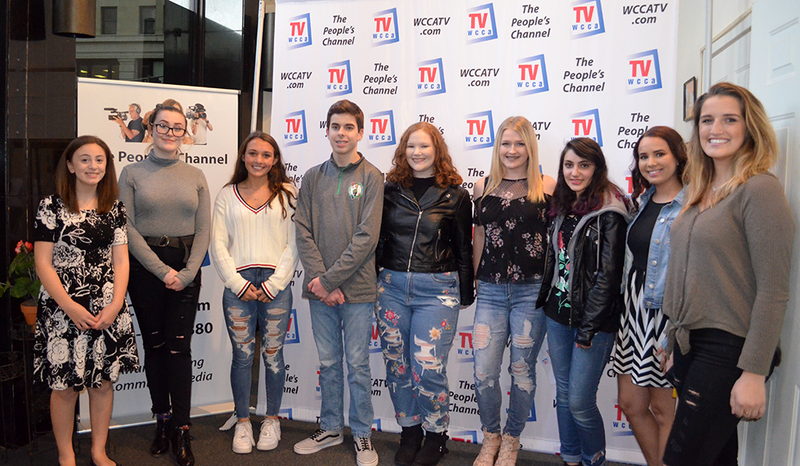 Our volunteers and the WCCA TV staff who supports all the creativity at WCCA, are also to be congratulated and celebrated. Please join us in celebrating this remarkable accomplishment on June 14, 2018. More details for this community event will be forthcoming. Mark your calendars as you will not want to miss this! In other related news, congratulations to Ron Motta and Chris Pinto of Active Worcester on producing and hosting over 200 shows as of April 2018! Congratulations, you make us proud!! Our next TV Production Class starts on May 19 and is held at the WCCA TV studio, in downtown Worcester. This class is a MUST for all aspiring TV producers, as it provides useful information about all components of the TV production process. The class is offered on a first-come-first-serve basis. To reserve your seat, call 508-755-1880, ext. 114. Embark on your exciting TV Production journey today! WCCA TV recorded the Mechanics Hall Brown Bag Concert with Jim Porcella. Jim is a jazz vocalist who serves up the iconic tunes of Sinatra, the Rat Pack, and Duke Ellington. He delivers American Songbook greats and leaves you wanting more. Tune into WCCA TV for this special presentation featuring Jim Porcella. Mauro DePasquale, Executive Director of WCCA TV, interviewed world renowned sitarist Ustad Parvez Kahn at the WCCA TV studios to promote the Joy Guru Humanitarian’s Service’s concert “The Essence: Where East Meets West” – a fundraising event to benefit humanitarian causes in the Worcester community and beyond. This WCCA TV special presentation features an interview on the April 2018 Famous (And Not So Famous) Armenians Exhibit at the Worcester Public Library sponsored by the Knights Of Vartan Arshavir Losge No. 2. Recently, the WCCA TV crew recorded The International Women’s Day Celebration at the YWCA of Central Massachusetts. Our intern Cynthia LaPan interviewed the CEO of YWCA USA, Alejandra Y. Castillo. It was an inspiring evening honoring women’s experiences, addressing challenging issues, and ultimately celebrating women. This year’s theme was Press for Progress. Another WCCA TV special presentation features an interview on the Worcester Commemoration of the 103rd Anniversary of the Armenian Genocide. 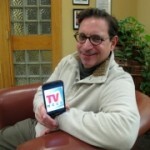 Tune into new episodes of Soapbox in May, hosted by WCCA TV’s Executive Director Mauro DePasquale. The new episodes will feature: the Rotary Club of Worcester, Chief Gentle Hawk and Nicole Spirit of The Moon to discuss their June event, and Deb Packard to speak on the Community Preservation Act. Encore presentations of Soapbox regarding tick awareness and the importance of knowing how to swim, will also air in May. Soapbox can be seen on WCCA TV, Channel 194 in Worcester, and streaming live online at wccatv.com on Saturdays at 10:30 pm and Sundays at 6:30 pm . To be a guest on the show, contact tracy@wccatv.org. What’s the future of Notre Dame des Canadien church in Worcester? To find out, watch this episode of the WCCA TV program Rosen’s Round Table. In another episode, host Gary Rosen and his panel members talk about the Community Preservation Act. Holy Cross College has been in the news recently. What’s up on College Hill? The Worcester airport has a new landing system. What does this mean for Worcester? Exclusively on WCCA TV! things going on in Central Massachusetts. Host of the program, State Senator Harriette Chandler, welcomes Grace Carmark and Kevin O’Sullivan to enlighten us about the Walk for the Homeless. Perspectives, with Asima Silva, is a WCCA TV program that features local and national guests sharing their perspectives on politics, current events, mental and emotional health, as well as religion. In this episode, Asima talks with Susan Serpa from Act Now Worcester. Asima also chats with Barbara Roberts, the author of Stop It, Stop It, Stop It Now. In another episode, Asima’s guests are Aurora and Emma from the Be-Like-Brit Club. Exposure With Mosher is a WCCA TV show that spotlights entrepreneurs, innovators, and good news. Host Amy Mosher Berry welcomes health and wellness advocate Lauro Dusha Nelson, the director of client acquisition at RC Cubed, Seth Mansur, and the owner of B-Organic, Cathy DiPilato. Activate Worcester, hosted by Ron Motta, is a WCCA TV program that shows viewers how to participate and become active in Worcester. Ron’s guest is Tracy Lovvorn, a candidate for US Congress. In another episode, guest host Chris Pinto welcomes to the show Jay McMahon, candidate for Attorney General. Time for a coffee break and another episode of Coffee with Konnie. Join City Councilor Konnie Lukes and her guests as they discuss city issues at Worcester area coffee shops. Once again it’s time for US Postal Service National Food Drive on May 13, 2018. Norm LaFlash, the spokesperson for the drive, and GwenWhite provide details of the event. Hidden Treasures is a WCCA TV program that helps you learn how to find that hidden antique or collectible that just may add cash to your life. In this episode, host Bill Safer shares hints and tips for your Hidden Treasures adventures. In another episode, Bill chats with Toni DeLuca about liquors. What It’s Worth is a WCCA TV show definitely worth watching! Host of the show, Tommy Colletta, welcomes Christina Andrianopoulos and Paul Barber to tell us about this year’s Grecian Festival. In another episode, Tommy’s guest is retired chiropractor James Convery. 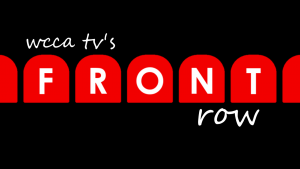 Ramona Pokoly is the host of Ramona Interviews, a talk show that features interesting guests from all walks of life. Ramona’s guest is Brian Nelson, the creator of the cartoon Our Girl Laurel. In another episode, Ramona’s guest is Kim Kerrigan the President of Corporate Classrooms. This Is Worcester is a WCCA TV program, hosted and produced by community activist Bill Coleman. This episode is dedicated to the speech made on April 3, 1968, by Martin Luther King. Static Fusion is an alternative performance art and musical variety program, produced with the facilities of WCCA TV. The program is put together by the creative genius of Jim Racicot and Uncle Allen. Jim takes us to the Mardi Gras Party at Worcester’s Canal. Sound Check, produced by Stefano Traficante, is a real-life, unscripted music program featuring the local talents of bands and song writers in the Worcester local area. This episode features an arrangement of local talent and images. 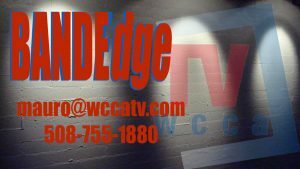 Band Edge is a WCCA-produced local-music show that is shot live and spotlights Worcester area bands, solo singer/songwriters, and instrumentalists. Today’s featured artist is Andy Brink. Video Jam is your source for eclectic music videos. Your favorite host, Tracy Foley, has been presenting mainstream and indie rock for more than 10 years on cable TV public access stations. Today’s Playlist features: Crowder – Prove It, The Afters – Life Is Beautiful, Dirty Heads – The Unlikely Candidates, Beaux Cheveux – Rio Grande, Tritonal – Out of My Mind, Johnnie Mikel – Friday Night, Johnnie Mikel – Come with Me, Mr Probz- Space for Two , and more. Keep jammin’ with WCCA TV! Tune into Video Jam Country and spend an hour enjoying the latest and greatest in country music with host Tracy Foley. Today’s show features: Jenna Paulett – Coolest Girl in the World, Rita Coolidge – Walkin on Water, Zach Stone – Four Letter Word, Debras D’Lane – Raisin’ Hell, Jenny Tolman – Something to Complain About, Indigo Summer – Wishful Drinking, Melanie Meriney – Life Boat, Nick Brennan – I Want a Girl, Kassidy Lynne – Baby Just Cruise, Templeton Thompason – Ride a Wide Circle, Cash Campbell – Don’t Wanna Talk About It, Aaron Watson – Outta Style, Anthony Orio – Undeniable, and Haley and Michaels – Me Too. Shout-out to all our country music fans!! This entry was posted in Circle of Friends, Community, Events, Mauro, News, Public Access, Shows, Youth and tagged City and neighborhood news, Community Media, Events and Information, fun, Local News, Mauro DePasquale, media democracy, media training and workshops, NEWLETTER, Public Access, Seen around the world, Soapbox, wcca tv, wccatv.com, Worcester Local, Worcester news, Worcester TV on April 30, 2018 by mauro. Are you a young singer who would like share your talent with the people of Worcester? 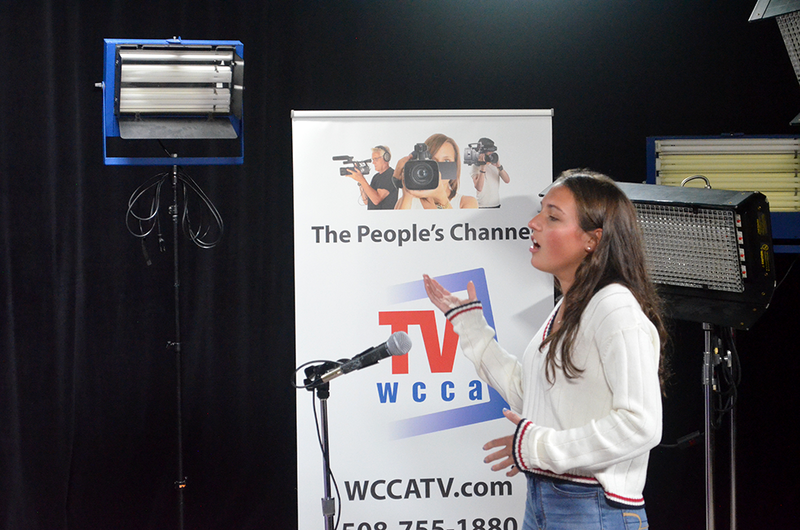 Or do you know of a young singer whose talent should be showcased on WCCA TV? If either of these are true of you, then you will be interested in WCCA’s New Voices Awards 2018. This program offers young singers, ages 14-21 years, to sing their hearts out to a television audience. The finalists and winners receive valuable prizes which, in past years, have included studio-recording time as well as cash prizes. Everyone who participates has an opportunity to sing on TV! We expect space for auditions to fill-up quickly, therefore we are asking for potential participants to sign-up for auditions as early as possible. 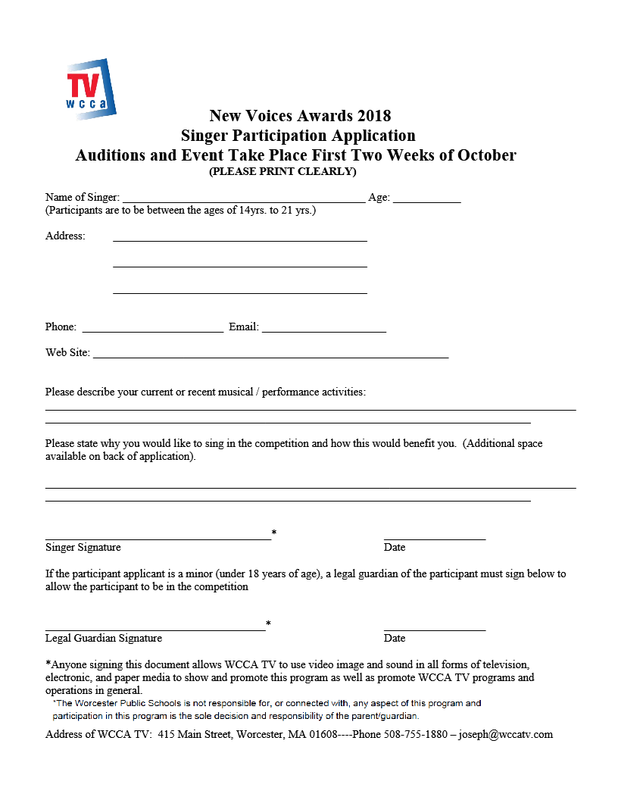 This year, the auditions and recording of ”New Voices 2018” will occur during the first two weeks of October. Please contact Joseph Townsend at 508-755-1880 or email him at joseph@wccatv.com in order apply for the opportunity to audition. 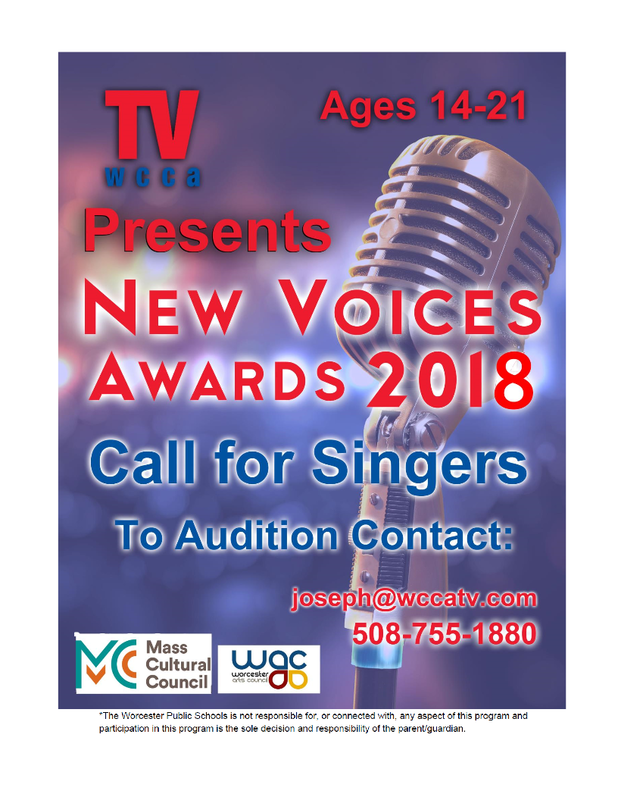 You may also download the application for audition by going to www.wccatv.com/about and scrolling down the webpage to the section titled Forms for Producers where you will find a link to the document ”Singer Participation Flyer and Application 2018 PDF.pdf .” We look forward to discovering the new voices of Worcester!! In other news, Public Access TV show, The Garage with Steve Butler, may go national! Do you remember the movie Wayne’s World? Wayne and Garth started a music television show out of their basement. It aired on their local community access television station. Eventually it grew in popularity and went national. Well, that’s how ‘The Garage with Steve Butler’ got its start. He originally had the idea after he lost his job as director of the woodworking program at a major craft school. He thought he’d film himself working, with the hopes that someone like WCCA TV, would see it and air it. Five years later his show has grown. It now airs regularly on more than 580 cable access channels, including WCCA TV (on Saturdays at 12 pm), across the states, and has created a wonderful community consisting of woodworkers, musicians and artists. And now Steve has the opportunity to go national! WICN and ‘Crocodile River Music’ recently hosted a concert by The African Children’s Choir. The African Children’s Choir is composed of African children, aged 7 to 10 years old. Many have lost one or both parents through the devastation of war, famine and disease. They represent all the children of a continent and they demonstrate the potential of African children to become strong leaders for a better future in their land. This WCCA TV special presentation features the Anna Maria College Annual Exhibition, showcasing the work of great local professional and student artists. Up first is a gallery of high school students’ art. After that is a unique gallery by artist Esther Solondz, called So Lightly Here. Another WCCA TV special presentation features the League of Women Voters forum on Child Safety Systems in Massachusetts. The LWV set out to examine the systems in place working to respond to the needs of the children in our state and discuss the obstacles and challenges. Special thanks to Bill Hamilton of WCCA TV for filming the event. 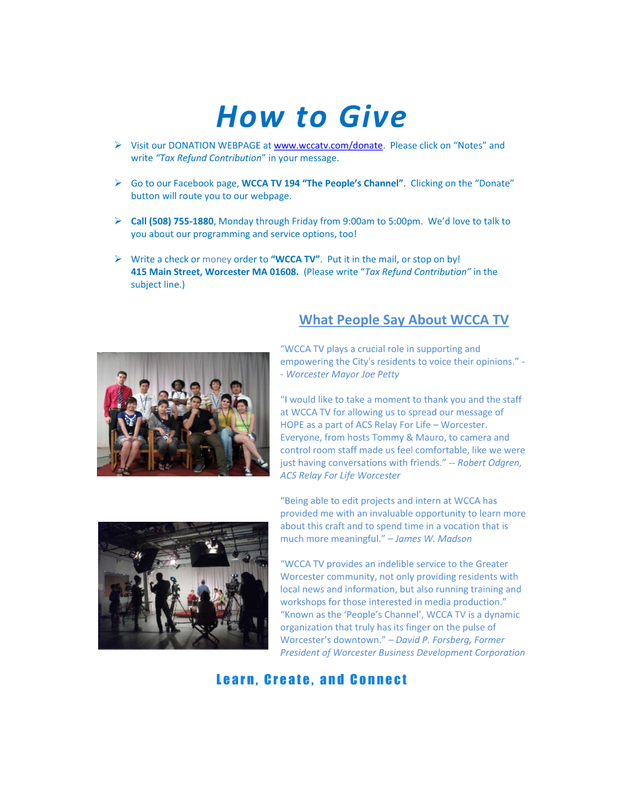 Our PSA Help Support WCCA TV’s Community Connections Summer Youth Program is now featured on the WCCA website, Facebook, and Youtube. As always, thank you for your valuable support!! Tune into new episodes of Soapbox in April, hosted by WCCA TV’s Executive Director Mauro DePasquale. The new episodes will feature: Greg Smith of the Nichols College Master of Science in Counterterrorism Degree Program; Guitar Maker, Christopher Tetreault; Housing Specialist, Jason Brady; and Girls Incorporated. Soapbox can be seen on WCCA TV, Channel 194 in Worcester, and streaming live online at wccatv.com on Saturdays at 10:30 pm and Sundays at 6:30 pm . 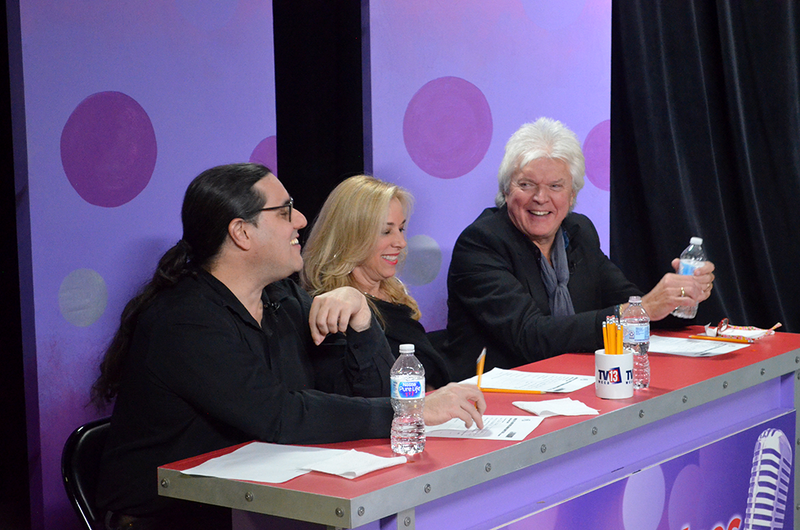 To be a guest on the show, contact tracy@wccatv.org. things going on in Central Massachusetts. Host of the program, State Senator Harriette Chandler, welcomes Jonathan Church, the administrator of the WRTA. Activate Worcester, hosted by Ron Motta, is a WCCA TV program that shows viewers how to participate and become active in Worcester. Chris Pinto has come in front of the camera to speak his mind about gun control. welcomes members of the Worcester Smiles soccer organization. Know Your Rights is a show to inform viewers of their civil rights, hosted by Ron Madnick. Ron talks about The March For Our Lives. In another episode, Ron talks about Historic Preservation Act. Slavery in Massachusetts is the topic of another episode. Exposure With Mosher is a WCCA TV show that spotlights entrepreneurs, innovators, and good news. Host Amy Mosher Berry welcomes Alain Beret ,the CEO of My Choice Programs, and Howard Lucas, the Workforce Development and Educational Programming at My Choice Programs. In another episode, Amy welcomes Giselle Rivera-Flores, Founder of The Learning Hub; Creative Writing Instructor, Judith Walz; and Sarah Lange, Fundraising Consultant and Author of ”The Field Guide to Fundraising For Nonprofits.” Tune into this episode to find out what these Inspiring Women have to say. Perspectives, with Asima Silva, is a WCCA TV program that features local and national guests sharing their perspectives on politics, current events, mental and emotional health, as well as religion. In this episode, Asima talks with Mukesh Baral. Sound Check, produced by Stefano Traficante, is a real-life, unscripted program featuring the local talents of bands and song writers in the Worcester area. Featured in this episode is Torbin Harding, the founder of Lo-Z Records. Also, tune into Local Mix #5, an arrangement of local talent and images. Connecting The Dots is a non-traditional legal program with the emphasis on the attorney as a trusted advisor, with an interdisciplinary approach to solving life’s issues. Host of the program, Attorney Liz Myska, welcomes Darcy Schwartz from Art Reach. Tune into a special episode of Bandedge. In partnership with WICN 90.5 in Worcester, WCCA TV’s show, BandEdge, recorded musician Daniel Rotem at the WICN Studio, in March of 2018. Originally from Israel, Daniel moved to the U.S. to study at the Berklee College of Music and, shortly after graduating, he was selected as a member of the Thelonious Monk Institute Performance Program. He has had the privilege to perform with Herbie Hancock, Wayne Shorter, Dee Dee Bridgewater, Al Jarreau, Billy Childs and many more. Since graduating the Monk Institute, Daniel Rotem has been residing in Los Angeles. Exclusively on WCCA TV!! Close To Home is a show about people and situations that demonstrate deep respect for mankind. 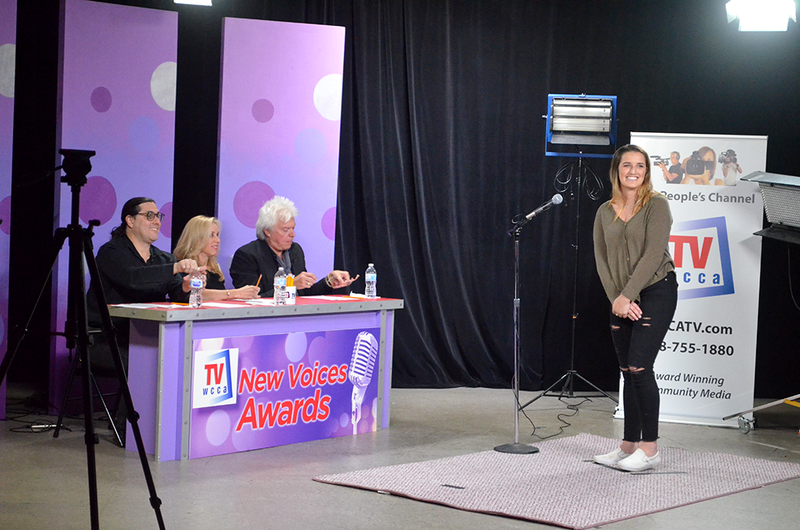 Host of the program, Molly Finn, welcomes Yves Jacques from Michael’s Messenger back to the show. Video Jam is your source for eclectic music videos. Your favorite host, Tracy Foley, has been presenting mainstream and indie rock for more than 10 years on cable TV public access stations. Today’s Playlist includes: Tash – Worried, Kygo – Stranger Things, Tune Yards – Heart Attack, Carseat Headrest – Nervous Young Humans, Bryan Fox – I Saw My Ex Wife Workin’ at the Bait Pro, The Winter Sounds – Earth After a Thunderstorm, Karen Atkins – Can’t Get, Rossember Maza – A Bad Guy, and more. Keep jammin’ with WCCA TV! This entry was posted in Community, Events, Mailing List, Mauro, News, Public Access, Youth and tagged City and neighborhood news, Community Media, Events and Information, fun, Local News, Mauro DePasquale, media democracy, media training and workshops, Public Access, Soapbox, wcca tv, wccatv.com, Worcester Local, Worcester news, Worcester TV on March 29, 2018 by mauro. This entry was posted in Awards, Community, Events, Joseph, Mailing List, Mauro, News, Public Access, Shows, Tracy, Website, Youth on March 27, 2018 by webmaster.